Ships tomorrow if you order in the next 16 hours 33 minutes. 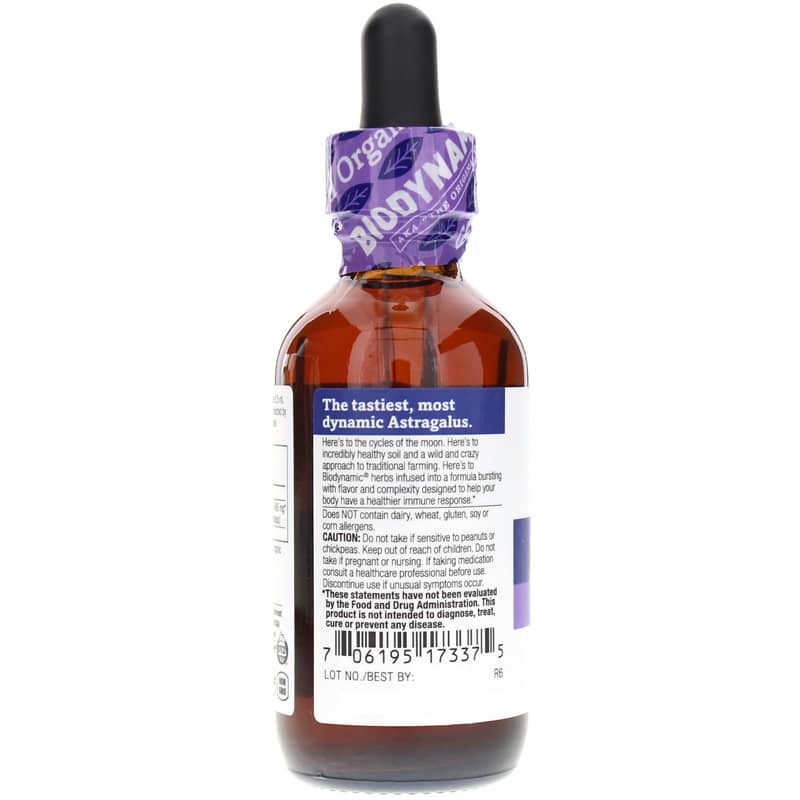 Looking for a potent, but still gentle and natural way to support your immune system? Get dynamic support with Oregon's Wild Harvest new Astragalus. 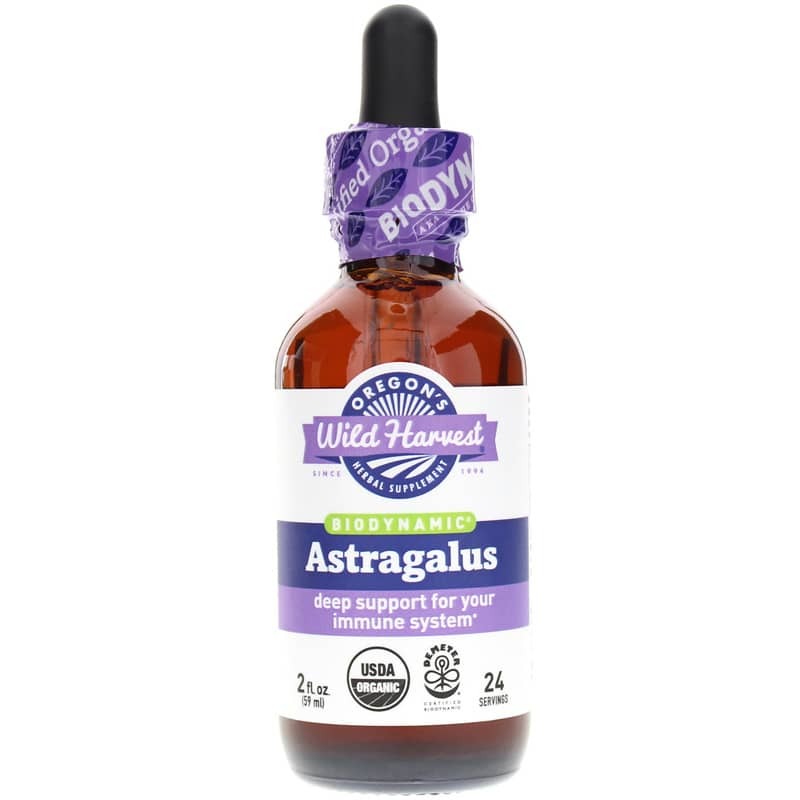 This new, more potent liquid astragalus supplement from Oregon's Wild Harvest provides 2465 mg of fresh biodynamic and organic astragalus root per half teaspoon serving, giving your immune system serious support. With its use dating all the way back to the 5th century, astragalus has a long and rich history. Traditionally valued for its tonic action, today it's gaining popularity as a natural way to support the immune system and body's natural defense systems for the maintenance of optimal health and wellbeing. 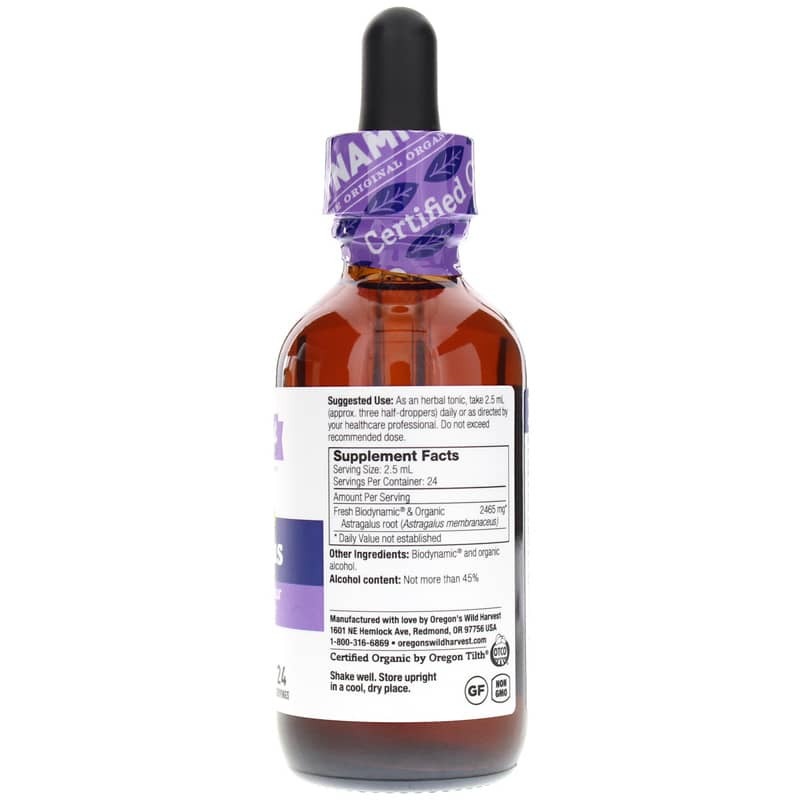 For optimal bioavailability and benefit, this supplement features Biodynamic Astragalus from high-quality, pure and organic sources. Get amazing immune support. Order Astragalus. Contains NO: dairy, wheat, gluten, soy or corn allergens. Non-GMO. USDA Certified Organic. Adults: As an herbal tonic, take 2.5 ml (approx. 3 half-droppers) daily, or as recommended by a healthcare professional. Do NOT use if you are pregnant or nursing. Do not take if sensitive to peanuts or chickpeas. Keep out of the reach of children. Discontinue use if unusual symptoms occur.